Small ship cruise line Seabourn have revealed the names of its two new ships that were ordered last year. Seabourn Encore will arrive in late 2016 and Seabourn Ovation will be launched in spring 2018. Seabourn Encore and Seabourn Ovation will maintain the line’s high ratio of space per guest offering a highly personalised service. Both ships will be configured with one additional deck, newly expanded public areas, and modern design elements and innovations. Hospitality design icon Adam D. Tihany will design both Seabourn Encore and Seabourn Ovation in their entirety. He will design all indoor and outdoor guest areas as well as the dining venues. The new 40,350 gross ton vessels are expected to carry 604 guests each, based on double occupancy. Every cabin will be a suite and each one will feature a private balcony. 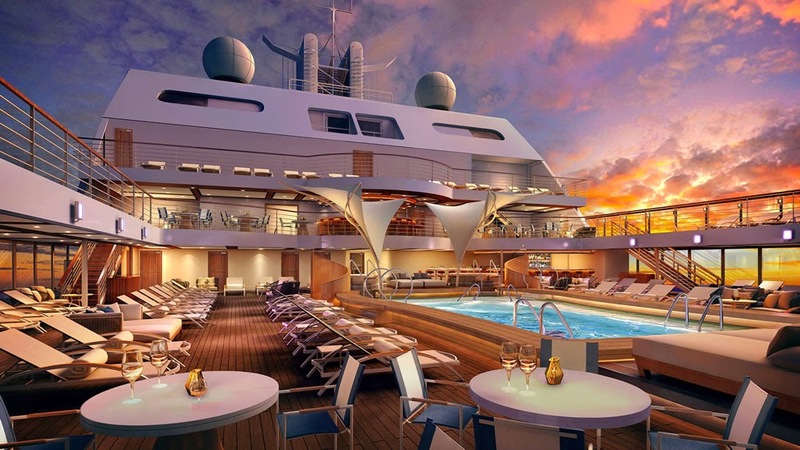 The addition of the two new ships will mean that Seabourn will have the youngest ultra-luxury fleet in the industry. During her maiden season Seabourn Encore will embark on voyages that span Arabia and India, South-east Asia as well as Australia and New Zealand. Further details about the two vessels can be found on the new dedicated micro-site released by the cruise line.